No. 61 was on the corner of Town Meadow Road, which can be seen to the left of the photo. Its neighbour at number 62, which was 'very old' and had pointing in very bad condition at the 1909/10 Valuation, had been demolished. No. 61 was used by Frederick Coyle & Co Ltd, builders & contractors etc. 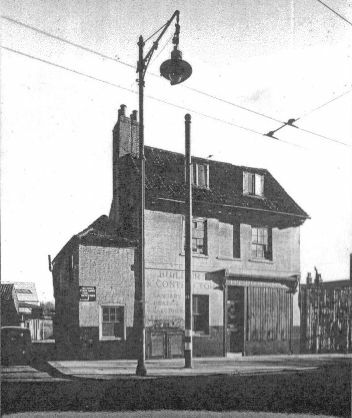 in 1933 and 1940 and signage reads 'Builder's Contractors Sanitary Heating Electrical Engineers'. An early 20th century postcard shows no. 61.